It's been three years since Stephanie Perkins crafted an unforgettable tale about young love and learning who you are. Her whimsical, yet realistic style of writing is addicting and quickly making its place in Young Adult literature. The final companion novel in her Anna and the French Kiss series has been a bit of a wait, but I will say this... the wait has been so worth it! 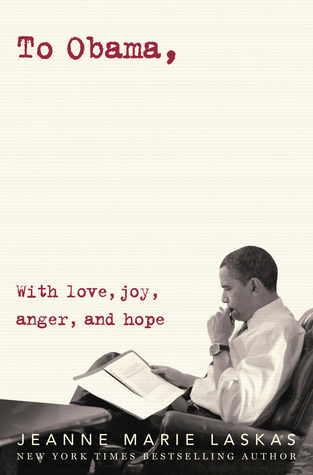 I devoured each and every page, soaking up the brilliance of Perkins' genius story-telling. She has a way of making you fall in love with the characters, becoming a part of their world, yet leaving you with your own personal reflections and feel-good thoughts upon reading that final page. Isla Martin is about to embark on her senior year of high school in Paris. She's spent the past three years in the shadows of everyone else, always watching from the sidelines as life seemed to pass her by. With her best friend Kurt by her side, she was okay with this ordinary life. But then one hot summer day in NYC, fate stepped in and decided to shake things up a bit. No longer was she content with just getting by. For the first time, in almost forever, her heart began to beat a different rhythm. Josh Wasserstein has found himself in a bit of a depression. All of his best friends have previously graduated and moved away, leaving him behind to sulk in his art. He has this gaping whole inside his chest that demands to be filled. Just when Josh felt like checking out, someone steps in and begins to shine a new light on a future he always dreamed about. Reading this story through the eyes of Isla, took me back to a time when young love was so vibrant and demanding. It had me remembering the moments when you second guessed every word you said to your crush, and swooned over every look he threw your way. This novel was filled to the brim with these sorts of moments, causing me to fall in love with Stephanie Perkins writing that much deeper. But then it escalated to a point in time where the characters became consumed by one another. Their thirst could never be quenched, their hunger never quite satisfied. It felt so strong, so realistic. The kind of love that overshadows everything else in its path, only to reveal a few cracks that have the potential to completely break them both. Aside from the love story, there is also a narrative about taking risks, and learning to trust yourself in the decisions you make. I think this is such a profound theme that many can relate to, especially today's youth, as they read this story. Isla discovers her adventures inside the books she reads, yet she's never dared to do anything outside her comfort in real life. The safe, easy path has always been her way. Before she even realizes it, Josh has taken her down a new path, one filled with the highest highs and the lowest lows. She's faced with decisions she doesn't want to make, opportunities she's scared to take. Ultimately her love for Josh teaches her how to trust herself and be open to risks, no matter how big or small they may be. Another aspect of the story that really stood out for me was the sister dynamic between Isla and her two sisters, Gen and Hattie. Coming from personal experience, I know the beauty of having a sister, as well as the nightmares too. Everything is not always roses. But there are moments, between the pages, where I found myself thinking Perkins truly grasped the foundation of sisters, with all its bright and ugly moments. These relationships felt authentic to me and carried the story to a richer, fuller level. Reading Isla's happily ever after was rough in parts, resulting in a few tears shed from this reader. But the ultimate reward, in the end, brought this story full circle. Upon reading the very last page, I closed the book and held it to my chest, audibly sighing and thinking to myself how wonderful it is to experience such a beautiful story. Thank you, Stephanie Perkins, for giving us a glimpse inside your creative, thoughtful mind, and bestowing us with this unforgettable and enriching gift. 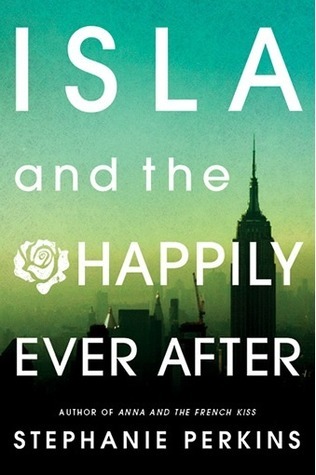 Isla and the Happily Ever After has now become a new favorite on my bookshelf. Right?!?! Steph did such a great job!!! Your review makes me want to read it even sooner. Hurry up book and get into my hands! Oh man, I am so excited to read Isla and Josh's story. I've been hearing wonderful things about it. So glad to hear you loved it. Loooove this review. I cannot wait until I can finally read the book too; the waiting has been too long! Beautiful review, G. I'm so happy to see that you loved this book so much. My copy has been shipped and now I'm not so patiently waiting for it to get here. :) Just from everything I've head, I think Josh and Isla's story may be my favorite; I think I'll definitely be able to relate to that first, all consuming love (and, hey, I'm still married to him :D).